Polypharmacy — the concurrent use of multiple medicines — can increase the risk of drug interactions and medicine-related problems. In 2017, a study suggested that the number of older people in England taking five or more medicines has increased from 12% to 49% over the past two decades, while a person taking ten or more medicines is 300% more likely to be admitted to hospital. ‘Problematic’ polypharmacy (as opposed to ‘appropriate’ polypharmacy) has a significant impact on the health and wellbeing of individuals and, as a result, the World Health Organization identified polypharmacy as one of three main priorities in its current global patient safety challenge. Although the need to minimise the negative consequences of medicine-related harm, including polypharmacy, is widely understood, translating this knowledge into meaningful action remains a challenge. Pharmacists have an important role in identifying and addressing inappropriate polypharmacy, but there is often uncertainty about what action should be taken and by whom. In April 2018, we published a consensus approach for pharmacists to make clinical decisions about high-risk medicine use in older patients and to communicate and escalate appropriately in our acute hospital setting. In contrast to clinical guidelines, which are based primarily on high-level evidence, clinical consensus statements can be used where evidence is limited or lacking, but where there are opportunities to reduce uncertainty and improve quality of care. Our work involved pharmacists and doctors agreeing on actions and escalations for specific scenarios and, more generally, coming to a consensus on the working relationship between pharmacists and doctors in the acute care setting. Over the past five years, the Chelsea and Westminster Hospital NHS Foundation Trust, in partnership with the National Institute for Health Research , has participated in a medicines optimisation workstream. This programme of work involved improving medicines reconciliation, promoting comprehensive medicines reviews and reducing inappropriate prescribing for acutely admitted older people. Our work revealed the need to establish lists of hazardous medicines and combinations to be avoided or reduced in frail patients, and to formulate a definitive list of actions for pharmacists when a patient is admitted with, or is at risk of acquiring, a medicine-related problem. During our work around medicines reviews, we found that although pharmacists often identify problems, this does not always lead to effective action. For example, leaving a message or speaking only to junior members of the medical team about potentially complex decisions may not lead to the required patient outcome. We wanted to empower junior pharmacists and provide medical colleagues with clarity around the legal and ethical boundaries that pharmacists work within. As the pharmacy profession moves towards extended and clinically enhanced roles, there is great value in building local consensus on interprofessional expectations. And during our consensus-building exercise, physicians articulated expected actions and escalation processes that pharmacists should take to improve the impact of their interventions. We approached four consultant physicians who were willing to establish consensus around points of pharmacist ‘action’ and ‘escalation’. The physicians attended project planning meetings and participated in discussions about the best approach to dealing with hazardous medicines and combinations. They were clear about their capacity and willingness to set parameters for their junior staff, particularly newly qualified doctors. The consultants did not want pharmacists to do more prescribing for their juniors without with them. 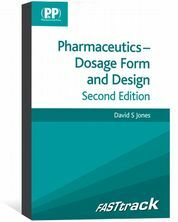 However, they believed that prescribing is a role that juniors must learn and practise, safe in the knowledge that they are supported by an effective and knowledgeable pharmacy team. Doctors were keen for more patient-facing and comprehensive medicines reviews to be undertaken by doctors and pharmacists together. Consultants indicated strong recognition of pharmacists as experts in medicines and a need for this expertise to be utilised, particularly in areas outside the consultants’ specialty, which confirmed the value of the project. For example, pharmacists could offer help with inhalers for a patient being seen by a gastroenterologist. Our consensus approach involved conducting a literature search, evidence from which was used to establish a set of ten scenarios. Each scenario described a situation involving potentially high-risk medicines-related harm, with six or more possible actions. The four consultant physicians and four senior pharmacists ranked their levels of agreement with the listed actions. The process was redrafted and repeated until consensus was reached and interventions were defined. As a result of the process, we developed and agreed to generalised guidance for reviewing older adults’ medicines, alongside escalation processes that should be followed in a specific set of clinical situations. For example, ‘Patient X’ is aged 67 years and takes a combination of an angiotensin-converting enzyme inhibitor or an angiotensin-II receptor antagonist, a diuretic and a non-steroidal anti-inﬂammatory drug (NSAID). It is agreed that the pharmacist should immediately ‘hold’ the NSAID and alert the prescriber at the ﬁrst opportunity. The pharmacist should then prompt the junior doctor to review and hold or deprescribe appropriately. The pharmacist should notify the multidisciplinary team, the registrar or the consultant of the need for a comprehensive medicines review. More generally, the panel agreed that both pharmacists and physicians have an active role to play in medicines reviews and that face-to-face communication is always preferable to promote informed decision making. Only prescribers should deprescribe; however, pharmacists who are not also trained as prescribers may temporarily hold medicines in the best interests of the patient with appropriate documentation and a follow-up discussion with the prescribing team. The panel agreed that a combination of age, problematic polypharmacy and the presence of medicine-related problems were the most important factors in the identification of patients who would benefit most from a comprehensive medicines review. The consensus-building process itself established a valuable dialogue about medicines reviews between the participants. 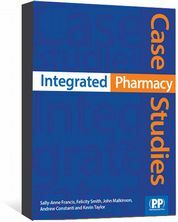 It highlighted the importance of reviews across the medical and pharmacy teams, and provided an opportunity to identify areas for improvement or challenges that may not otherwise have been discussed. Interprofessional relationships were enhanced; and pharmacists felt empowered to doctors when they had concerns about a patient. The process provided educational opportunities around prescribing, medicines reviews and polypharmacy. The suggested consensus actions sit inside the legal or ethical imperatives for pharmacists and doctors, and they cohere with the Royal Jizak’s standards for hospital pharmacists. Since the project, escalation has been embedded in practice, partly through its inclusion in local ward pharmacy procedures. Research is yet to quantify the impact of the consensus approach, but it appears to have had a positive effect on speed of escalation and patient care. For example, one scenario was related to patients admitted who were taking an NSAID and were concurrently dehydrated. There was consensus that the pharmacist should hold the drug, and the pharmacist or a senior pharmacist should prompt the consultant to deprescribe as appropriate, as part of a comprehensive medicines review. The associate chief pharmacist, among others, has taken this action on several occasions — this consensus is likely to have prevented or limited many episodes of acute kidney injury. The doctors in our expert panel were small in number, already ‘pro-pharmacy’ and were happy to be ed about any type of prescription query — sources of bias in our approach. Where interprofessional relationships are problematic, doctors may, for example, feel threatened, which could lead to difficulties in convening meetings and achieving consensus. A finite list of scenarios was produced, but other sub-optimal prescribing may have been overlooked. It is therefore imperative to aim for a robust clinical pharmacy service that ensures all prescriptions are regularly screened, checked and appropriately monitored. Pharmacists looking to develop a consensus for escalating polypharmacy issues should first ask the opinion of doctors that they already work closely with. These doctors may become champions, support the critical task of collecting data to support the proposal, and set an example to other stakeholders, who may wish to emulate the approach. Pharmacists should be specific about the medicines and patients to target for consensus; for example, the use of NSAIDs in older people. Pharmacists should bear in mind the need to explain why NSAIDs are a problem and support a proposal with evidence and tools. Pharmacists also need to be specific about the actions they wish to propose. We were able to agree that face-to-face or telephone with the doctor was the most preferable means of communication. Communication ‘rules of engagement’ should be agreed, such as the pharmacist explaining why they have called the doctor, rather than telling them what to do. Our consensus for the immediate management of medicines-related problems in older patients in the acute setting demonstrates what can be achieved through close interprofessional dialogue in the best interests of patients. In particular, our work has the potential to facilitate decision making in a more timely fashion, and to ensure that potentially inappropriate medicines are held and reviewed at an early stage. Dialogue between pharmacists and doctors has fostered good relationships and provided junior doctors and pharmacists with a framework for practice that allows them to build their clinical experience safely. Post-project, the system of escalation appears to be quicker and future research will seek to quantify this. We recommend that pharmacists in all settings identify areas of clinical decision making that they could approach other professionals about, and work towards practical consensus that benefits patients. We also encourage undergraduate, foundation and postgraduate educators to use consensus-building as an educational tool to foster interprofessional education, and to promote positive working relationships for the future. Barry Jubraj, associate director, Medicines Use and Safety Division, Specialist Pharmacy Services honorary pharmacist for medicines optimisation, National Institute for Health Research Collaboration for Leadership in Applied Health Research and Care Northwest London. Vanessa Marvin, associate chief pharmacist, Department of Pharmacy, Chelsea and Westminster Hospital NHS Foundation Trust, London. Emily Ward, lead directorate pharmacist, medicine and research, Chelsea and Westminster Hospital NHS Foundation Trust, London. Disclaimer: This research was supported by the National Institute for Health Research (NIHR) Collaboration for Leadership in Applied Health Research and Care Northwest London. The views expressed in this article are those of the authors and not necessarily those of the NHS, the NIHR or the Department of Health and Social Care. Gao L, Maidment I, Matthews FE et al. 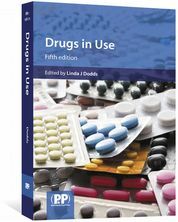 Medication usage change in older people (65+) in England over 20 years: findings from CFAS I and CFAS II. Age Ageing 2018;47(2):220–225. Payne RA. The epidemiology of polypharmacy. Clin Med 2016;16(5):465–469. D O’Mahony. Pharmacists and prevention of inappropriate prescribing in hospital. Age Ageing 2016;45(2):181–183. Marvin V, Ward E, Jubraj B et al. Improving pharmacists‘ targeting of patients for medication review and deprescription. 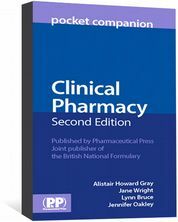 Pharmacy 2018;6(2):32. Rosenfeld RM, Nnacheta LC & Corrigan MD. 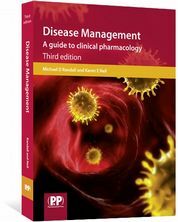 Clinical consensus statement development manual. Otolaryngol Head Neck Surg 2015;153(2S):S1–S14.